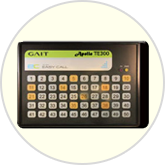 The ideal transmitter for communicating with a large staff (up to 50 pagers). Customizable for nearly any application. Can be used with a variety of pager types.